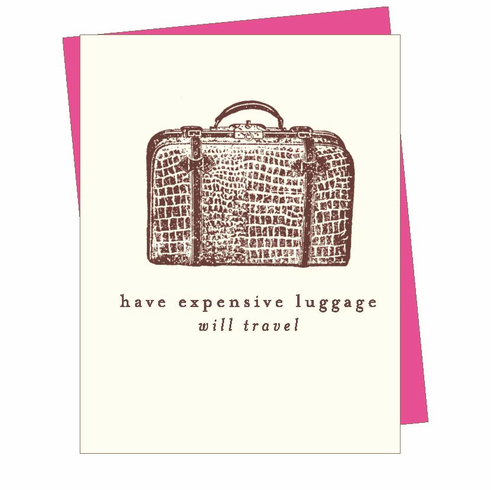 "Have expensive luggage, will travel" reads the text, illustrated with an elegant vintage alligator suitcase. All aboard! Blank inside.